It is almost 1 year that I have started Moi Aussi and this blog. 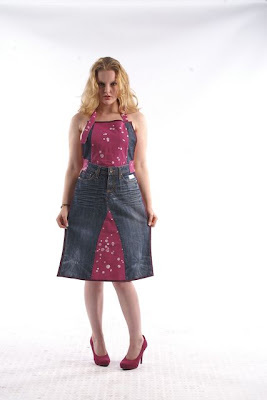 There were many times I was going to stop my upcycling experiments because of the many reasons. We have moved to another house, completely renovated it and we got a 3rd son. I was busy with many things but did not have enough time to keep up to date my blog and my Etsy-shop. During this year I have realized that my main product will be the apron from upcycled jeans. It is original and fun and I am very proud to put useless thing to another life-cycle. The experience on the markets in the Netherlands, reactions within Etsy-community and my friends, support of my family and my husband prove that I need to continue. 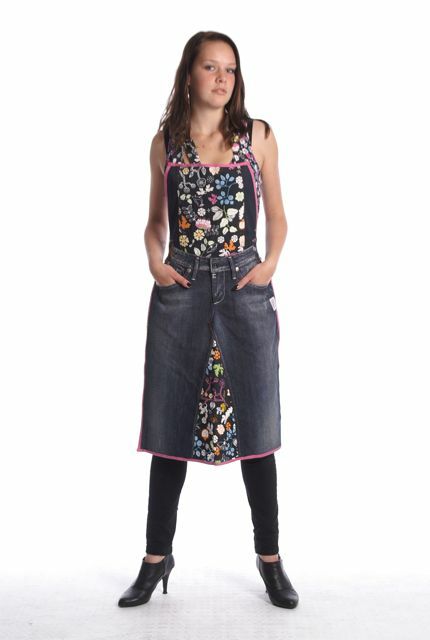 One of my friends, photographer Frank van Naamen proposed me many times to make a photo-shoot of my aprons. As I was not a good model during the pregnancy, he has made a photos with different models. I was very happy with the photos - they are funny and clearly shows my creations. I have used these photos to change the banner of my Etsy-shop.